We’re in the midst of the rare but potent Venus Retrograde in Scorpio. This is a magical portal for healing the Venus area of our lives. We’ll discuss Venus as an archetype and how to invoke her presence in your life daily. Venus rules money, relationships and beauty. During her retrograde phase, we have an opportunity to uncover any patterns that block us in these essential life arenas. Do you feel stuck in the same relationship or money patterns? Are you still carrying around any ugly-duckling complexes from childhood that haven’t allowed you to fully embody your inner Venus? Would you like to deepen your relationship to desire, sacred sexuality and heal intimacy issues. 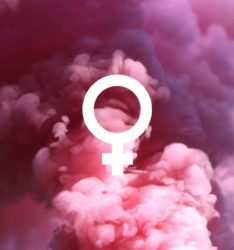 We’ll dig deep into the magical powers of Venus and the retrograde to invoke the magic and healing that this period offers. Sherene Vismaya, M.A. is a Jungian astrologer and psychoanalyst in private practice in NYC and San Francisco for the past eighteen years consulting, writing and teaching. She specializes in depression, shadow work, anxiety, creative blocks, eating disorders, and relationships. Sherene has pioneered her own unique approach to Jungian and somatic healing modalities combined with her background in metaphysics inspired by her yearly pilgrimages to India. She is the author of several books including collaborations on: Speculation Now; Transpersonal Astrology: Explorations at the Frontier, & Surviving Saturn’s Return (McGrawHill), Dog Stars, and Fate of your Date. She holds a Master’s Degree from New York University in Clinical Psychology, a Masters in Developmental Psychology from Pace University and post-graduate work in psychoanalytic studies from The New School and ISAP, Zurich. She has been the resident astrologer for Elle Magazine for the past decade. Sherene teaches classes and workshops internationally.